Black History Month and Women’s History Month shouldn’t be the only times we highlight and celebrate Black women who have shaped American history. Here are five books about Black women that should be on your to-read list year round. Everyone should know the name and work of Ida B. Wells, an African-American journalist, suffragist, and crusader against lynching. She was born into slavery several months before the Emancipation Proclamation. At age 22, nine years after the Civil Rights Act of 1875 banned discrimination on the basis of race, she was asked by the conductor of the Chesapeake & Ohio railroad to give up her train seat to a white man and move to the overcrowded smoking car. When the conductor tried to move her, she physically resisted and was eventually forcefully removed from the train while white passengers applauded. Once home in Memphis, Wells successfully sued the railroad. Although the case was overturned by the state Supreme court, the incident marked the beginning of Wells’s lifelong commitment to fighting injustice. In 1892, after three of her friends were lynched, Wells began investigating and documenting lynchings in Tennessee. Her work made her unpopular among whites in Memphis, leading her to buy a pistol and, soon after, move to Chicago, where she continued her anti-lynching crusade. After reading her autobiography, check out The Memphis Diary of Ida B. Wells, a collection of her diary entries from 1885 to 1887. The call for reparations didn’t start recently. Shortly after the Civil War, former slaves were advocating for reparations—and organizing a movement across the country to push for legislation. Callie House was an enslaved toddler when the Union forces swept through Tennessee; as an adult, House worked as a washerwoman, raised five children, and became a key organizer in the struggle for reparations, eventually leading the National Ex-Slave Mutual Relief, Bounty and Pension Association. Her work made her unpopular with the government, naturally; House was mercilessly targeted by the post office, and banned from using the mail for either personal or movement use. 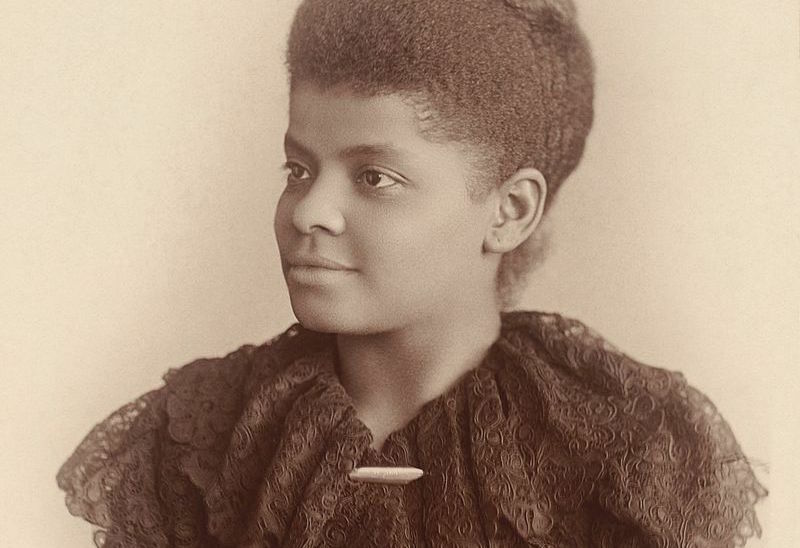 In 1899, the postmaster said of her, “She is defiant in her actions, and seems to think that the negroes have the right to do what they please in this country.” But the ban didn’t deter her and, for years, House traveled to former slave states around the country, inspiring and organizing for justice. Most history textbooks would have us believe that Rosa Parks was simply “tired” when she refused to give up her seat on a segregated Montgomery bus. But, as the first adult-length biography shows, if Parks was tired of anything, it was tired of the injustice. In the decades before that fateful December day, Parks had organized with the NAACP, including investigating sexual violence against Black women by white men and increasing black voter registration. (Mrs. Parks attempted to do so three times. The third time, she hand-copied all of the questions, preparing to bring suit against the voter registration board. The registrar noticed her actions and Parks received a letter certifying her to register. She then had to pay back poll taxes–$1.50 for each year she had been old enough to vote—before being allowed to cast her vote.) Her work did not end with the desegregation of the Montgomery buses. Until her death, Parks continued fighting against racism and sexual violence, a struggle that, until recently, has gone largely ignored by the history books. Full disclosure: Jeanne Theoharis was my professor at Brooklyn College. She urged me to explore incarcerated women’s resistance and organizing, an exploration that became the first draft of my book Resistance Behind Bars and the genesis of my investigations into women’s incarceration. Safiya Bukhari was a pre-med student and single mother in the 1970s when she began volunteering with the Black Panthers’ Free Breakfast Program in Harlem. At the time, she was fulfilling her sorority’s mandate to help “disadvantaged” children, but “could not get into the politics of the Black Panther Party.” It was only after she was arrested for intervening in police harassment of a Panther selling newspapers on 42nd Street that she joined the Black Panther Party. Bukhari eventually went underground with the Black Liberation Army, becoming a political prisoner and, after prison, cofounding the Jericho Movement to Free All Political Prisoners. Most people learn about Rosa Parks in elementary school (often with an incomplete history that excludes her history with the Black Power movement). But how many people know about Johnnie Tillmon, a single mother who combined welfare rights and Black Power activism? Or Juanita and Lillie Jackson, who revived and refashioned Baltimore’s civil rights movement during the Great Depression several decades earlier? Want to Start a Revolution? is the perfect introduction to the many women in the Black freedom struggle. The Standing Sioux's pipeline protest is part of a long history of indigenous-led environmental protests.